Networking is first and foremost a business process. Every person in affiliate marketing knows that the main goal of visiting digital events is networking. We can read this word in every chat either as on every industry group or forum. 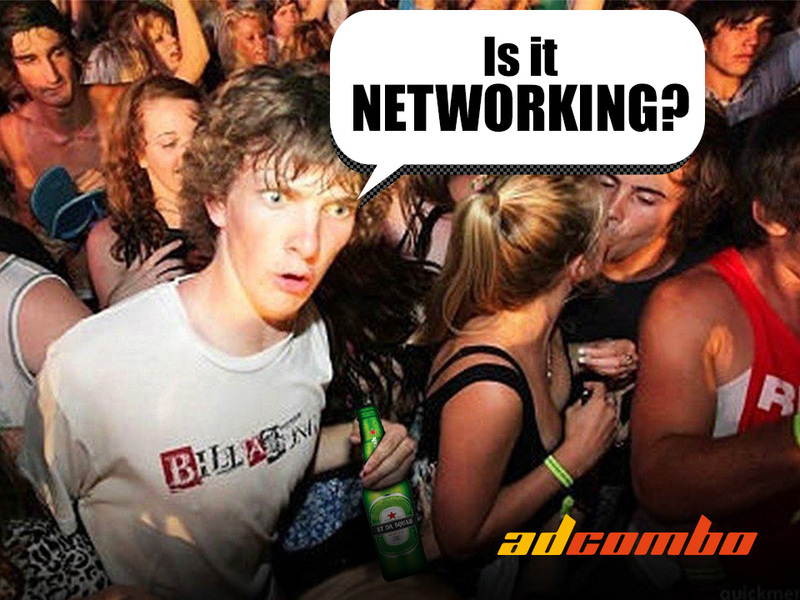 But not everyone understands the correct meaning of what networking is. Okay, let’s get to it. Business coaches, top-level affiliates, over-reached networks’ managers, online entrepreneurs and those who come to the conferences just to have fun – they all say that networking is the biggest part of success in every business. But no one explains what is it, how does it work, and what one needs to do to make his networking opportunities the right way. Webmasters and affiliates are always the self-made businessmen. They got in the online marketing industry just by themselves, and that explains why the major part of them doesn’t have some special education or a degree in business. That is why everyone understands the process of networking differently and when it comes to face-to-face communication they act completely intuitive. Someone does it well due to a natural charisma and someone gets mixed up because of shyness and carelessness. And that is the main reason for writing this guide – to show that networking is a complicated process and to learn all of you (affiliates, managers, businessmen, etc.) how does networking work. Let’s start with the basics. Networking is a complex and difficult process that includes the collection and analysis of information; communication; make great connections and increasing loyalty. 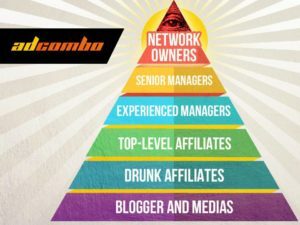 In other words, networking is not just drinking with your AM to get private offers and bonuses but a range of actions that may bring an amazing profit. But first things first. The crux of any affiliate event is communication. Most of the visitors are acting wrong because they don’t see (and don’t understand) all the opportunities they have there. Actually, there are tons of valuable insights that may help you but you need to learn how to listen, how to ask the right questions, analyze and structure the information you received. Remember – there is no such a thing as useless knowledge, you just don’t know how to use it right yet. Affiliates can get a lot of important info from the managers. What’s going on in a company, does a network have any new releases coming, maybe some of the managers work in another network now? Also, don’t forget about mass-media. What service buys more ads than others? What relationships do networks have between them? Who owns a company? Traffic networks may tell you which affiliate networks are their partners (so you know where do they monetize their unsold traffic) and which geos are not popular at all. Not bad, right? You can get lots of interesting information and valuable tips if you know what questions to ask. You may learn what companies are bigger than others, what relationships do the companies have, which network may hold the payouts, who sells the products with the side effects. Network owners are the best information sources. Due to their position, they know much more than others. Of course, they will not share any exclusive information with just anyone. You need to be a really useful person to get the information from them directly. Senior managers are less important but still very useful. They have been in the business for a long time and know the market pretty good. Moreover, they may pick up some information from owners. But keep in mind that senior managers know exactly what they can or can’t say. Getting really valuable tips from them is not that easy. Experienced managers. A regular manager goes to an event to get for his network as many affiliates as it’s possible. They usually don’t care about relationships or economics on the market, a manager sees not affiliates but potential clients for his company. You can learn from him a lot about his network, inner relationships, departments, business processes. Those managers don’t usually watch what they say and this is a good bonus for you. But there is another type of bloggers – they are always looking for some interesting facts and news but can’t offer anything in return. Be careful – they will try to get any information from you and then you realize that they have nothing useful to share. That kind of bloggers comes to the events only for personal gain. The main thing you need to learn – networking is a mutual process. No one will share valuable information with a no-name person. You have to be useful to be needed. Roughly speaking, networking has two kinds of profit for you: expertise and the right contacts. It’s simple – a person that has the right knowledge and skills can be a very useful information source. People in the niche are glad to share their info if you are able to offer something useful in return. When you are a newbie, you have not so much valuable expertise and knowledge and you have to get it. The more you know, the more you are needed. And after a while, you get a lot of helpful info and insights. After analyzing, it turns into useful information that you can exchange for other insights. And when you have an expertise, you become a useful person. When you are useful, you have access to other useful people – you got the right connections. Not the ones that the crime lords have, but access to people with helpful and interesting information. This is a coax of networking – having access to the right people at any time. A person that has both an expertise and access to the right people becomes incredibly useful. Everybody tries to make the acquaintance with him, have a talk, get your contacts. All our niche hinges on communication. But you have to understand that you never know what person you will need at the next moment. This is the biggest bonus of communication – the right connections that sneak up on you help to promote your business and lead to a new level. When you know every valuable person in the niche, it becomes much easier to get new insights, find new capable affiliates for your team, settle for the integration with other services, etc. Networking is face-to-face communication, not callous chatting. Not a secret that one phone call may be way more effective than chatting for a week. But a face-to-face meeting is as effective as a week of phone calls. Meeting with your colleagues and partners, companies representatives provides new opportunities for getting better working conditions, access to private offers and products. Also, it’s much easier to find partners for your team in person. Live communication works great with the “Webmaster <= Network” scheme. Networks are pretty loyal to the affiliates that make leads (and profit, of course). But it works not so good the other way round. A publisher has a choice among the dozens of networks but a network is interested in EVERY publisher (because its main goal is to get as many leads as it’s possible). 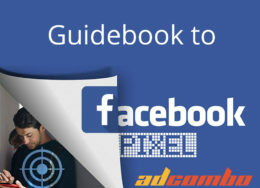 The participation of the networks in any niche event is a competition for affiliate attention. 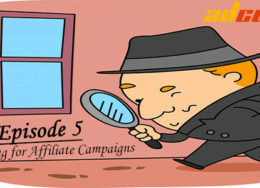 The ratio of networks and services to affiliates and webmasters is about 60/40, respectively. That is why networks take conferences and other events so seriously. This is particularly important for the major international events because a network pays not only for the sponsorship but for flight tickets, hotels, and the managers’ maintenance. Sometimes they need to buy additional tickets to a conference. Don’t forget that all the merchandising and souvenirs cost money as well. So we can see that the participation in any conference costs a lot. And a network/service has to be sure that it’s worth it. That’s why companies are so serious about their business trips. Every network prepares differently. Some of them send 7-8 managers to reach more potential clients, others send just a couple of the best managers. Someone send the most effective employees and someone sends the most beautiful ones (girls, usually). Some networks hire only good-looking, pretty girls to draw affiliates attention. Most part of the networks even has a specific guidance note on how to behave during an event. By the way, the instructions for men and women are different. Some networks buy sponsorship a year before a conference, some do this at the last minute but they all come at the events for a result. And affiliates should be learning from them. Managers make meeting schedules with the most interesting participants of a conference in advance. There are a few services that help to plan a meeting at a given time at a particular location. Usually, those schedules are painted on minutes so the sooner you arrange a meeting, the better. Moreover, support managers try to talk to literally everyone at the event. Quite often their KPI depends on the number of contacts they got. Frequently, the people from CIS countries who come at AWA/AWE for the first time are pretty surprised that nobody drinks alcohol before the end of the first day. And this is right – drank manager is not effective. Also, networks give a lot of attention to the appearance of the managers – colors, patterns, etc. They need to draw attention not only with the products but with the look as well. Some people in the niche think that going to conferences and business trips, in general, is a privilege. Other countries, people, memories. Actually, those trips can really wear you out. A manager needs to be on his feet from early morning until late night, constant communication, there are no time-outs. Two-days conferences with afterparties mean 3-4 hours for sleep per day. The rest of the time, the manager has to be friendly and welcoming. Constant communication for two days is a lot harder than it sounds. If you think otherwise – you never been at such events or worked half power or didn’t work at all. People at the events are different too. You meet sociable, communicative people and meet shy and nervous ones as well. usually, managers have different cases scenario of dialogue to improve their efficiency. Don’t forget to pay attention to the cultural background when you talk to people. In some cultures, people appreciate tenacity and confidence. Other ones tend to embellish their skills and experience. Some people have no sense of community at all – there are a lot of insolent people at the conferences. There are situations when you meet a person that knows nobody but you. That kind of person starts to hang around you. They may follow you just to have a company with somebody. You need to convince him to talk to someone else, gently, but firmly. Experienced guests of the conference know that rivals don’t rest. Everyone wants to know more about colleagues, partners, competitors. That is why everyone pulls the wool over other people’s eyes there. Networks lie about their traffic, affiliates lie about their experience and skills. So it’s always better to get information not first-hand but from the outside. Everyone lies about themselves. Some people lie a bit, some of them lie a lot but there is no exception. Digital events are made for exhibitors, it is an opportunity to show their best. So there is no surprise they lie in the hope of getting more clients. What we are trying to say is that you can’t see all the profit you can get at once but don’t underrate it. Collecting information, analyzing it and using just at the right moment is hard. You can’t exchange your knowledge and contacts for payouts and you need some time to turn it into money. But sometimes its value costs more than money. Don’t drink too much alcohol. Being drunk have nothing in common with Business talks.